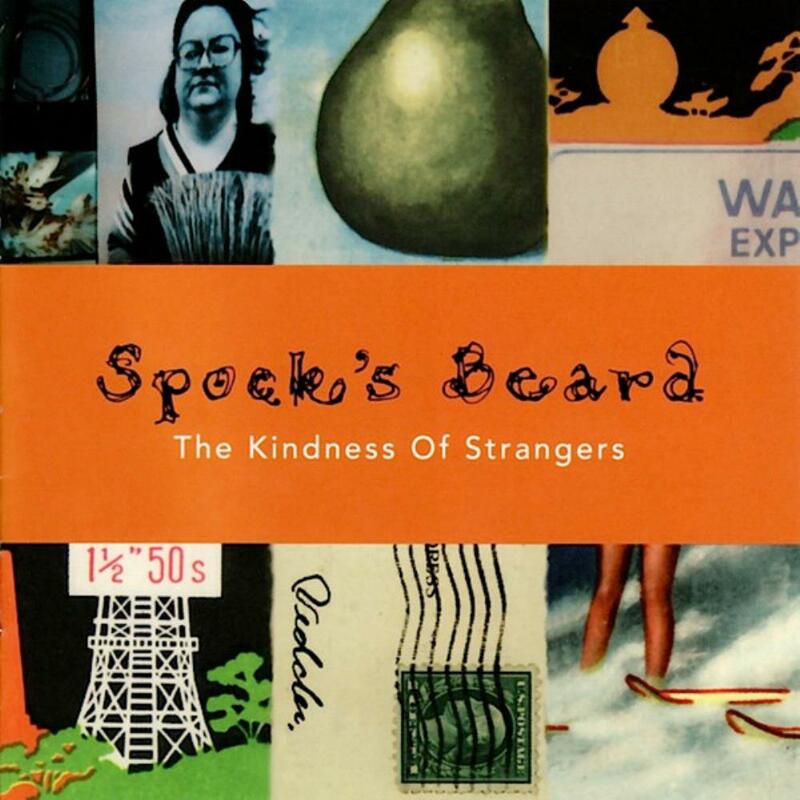 The Kindness of Strangers isn't very different from other Spock's Beard albums. They play the same successful blend of popped up progressive rock with a distinct 70's flavour uniting the different influences this band may or may not have. I've always liked the band, but the more I seem lo listen, the less exciting it gets just because of this constant flow of songs that sounds very much alike. Passages heavy with Hammond, Mellotron and synth with dozens upon dozens of different sounds fight for the space together with a modern, heavy guitar and tight bass. Just as with the sub-genre brothers (modern symphonic rock that is.) in The Flower Kings you shouldn't be surprised if you find quite big portions of melodic metal in between the more traditional virtuosity, represented by the previously mentioned trusty old keys and traditional piano. Spock's Beard often plays a warmer kind of music which always reminds me of Kansas, and it wouldn't surprise me if they are on of the band's biggest heroes. This is both a good and a bad thing unfortunately. Because the more I listen to the band, the more irritated I get by the fact that they never stray far from this trusted method. Be it almost childish-sounding interludes, acoustic guitar by the AOR rulebook, the preachy, yearning, positive (but ultimately good) vocals of mr. Morse, slight overuse of the sweetest of melodies or the power ballad leanings found in so many of the songs, something is a bit askew here. To say the least. I feel I've heard these songs before: Great instrumental part - acoustic guitar/piano - enter Neal Morse - tralalala alone - great instrumental part - harmonised tralalala with acoustic guitar/piano. And so forth. It never falls flat though, and Neal Morse is obviously a master in creating good songs by just that formula. But why not try something different for a change, and explore the whole range of emotions and styles as the band is most certainly capable of? Both the debut and Beware of Darkness were way more successful in that matter. The strange noises and effects coming out of the keys this time, however unique they may be, ultimately feels like some kind of faux-creativity just to cover up these problems. No wonder then that my two favourites on the album are Harm's Way and Flow, as they are the most dynamic of the songs. Harm's Way even manages to build up some aggression (!) at times. I almost wish I could give The Kindness of Stranger a lower rating, but even with these complaints the music is just too good when it's good and it's never bad when it's bad. It's just safe and nice, and even nicer and safer now and then. And while in the right mood, few things beat the music created for this album. But for now, I'll just return to the magnum opus that is The Light.